CopyRight2 is Sys-Manage's file server migration tool that lets you easily migrate network file shares, files, folders, NTFS and share permissions, group and user accounts (including passwords) from source to destination servers. The source and target file servers can be domain members, domain controllers or configured for workgroup mode. It supports migrations within the same domain or across different domains. It is the #1 file server migration solution with the most features and most responsive support (24/7) at the best price point you will find on the market. Use the real-time synchronization feature to eliminate user downtime during the cut-over phase. You can leave the software running, or even stop it and resume the synchronization at a later time. The integrated user profile migration features will make sure that terminal (RDP) users and roaming profile users can login right away to their known environment once they are migrated to the destination domain using their known passwords. The product will automatically translate persistent network connections, update shortcuts and the most recently used file lists stored in the profile on-the-fly while copying the profile. A built-in block level protocol allows byte level synchronization over high latency WAN connections. It is a comprehensive file server migration solution supporting you in your early planning stages up to the actual migration phase. The template based roll-out planning feature will help you to accelerate the performance of larger scale migrations. During the migration of NTFS permissions or file share permissions, CopyRight2 automatically detects if any user or group accounts used within permissions are missing on the destination computer or the destination domain. Depending on the settings it will automatically migrate the missing accounts or prompt the user to decide how to treat those accounts. Beside of the automatic account migrations you can also selectively migrate specific user and/or group accounts, without moving file data, by defining a "User and Group" copy job. It comes bundled with a royalty free CopyRight2 InfraStructure Reporting license that will allow you to gather all information required for the migration about the source environment from your file servers and domain controllers. The intuitive graphical user interface allows you to create a copy job for a file server migration with just a few mouse clicks. Simply select the source files and destination folders of your copy job or add a computer or Active Directory scan job to gather live data for planning purposes in the format of your choice (Text, Microsoft Access, Microsoft SQL Server). All jobs created with the CopyRight2 GUI can be run unattended and at a chosen date and time or interval. Beside of the graphical user interface it is integrated with Windows® Explorer and offers an additional command line interface very similar to the built-in Xcopy command. 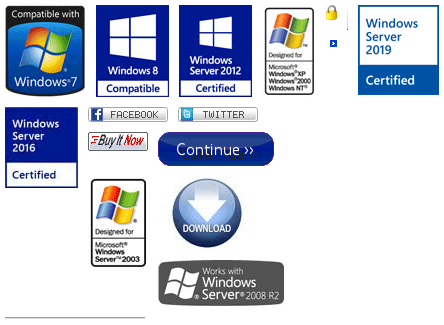 CopyRight2 supports Microsoft Windows® 2000, Microsoft Windows® 2003 / 2003 R2, Microsoft Windows® 2008 / 2008 R2, Microsoft Windows® 2012 / 2012 R2, Microsoft Windows® 2016, Microsoft Windows® 2019, Microsoft Windows® XP, Microsoft Windows® Vista, Microsoft Windows® 7, Windows® 8.x and Windows® 10. It supports Windows® Cluster Services, a wide variety of network attached storage solutions (NetApp®, EMC®, Hitachi® HNAS & HDI, NetGear® ReadyNAS, TrueNAS, FreeNAS, ...) and also Linux Samba as source or target server.